This Christmas punch recipe made with warming cinnamon, apple and ginger is healthy, delicious and good for the whole family. Christmas punch is a must over the holidays. It’s a great tradition to have as it can be made with special secret ingredients and the recipe passed down for generations. 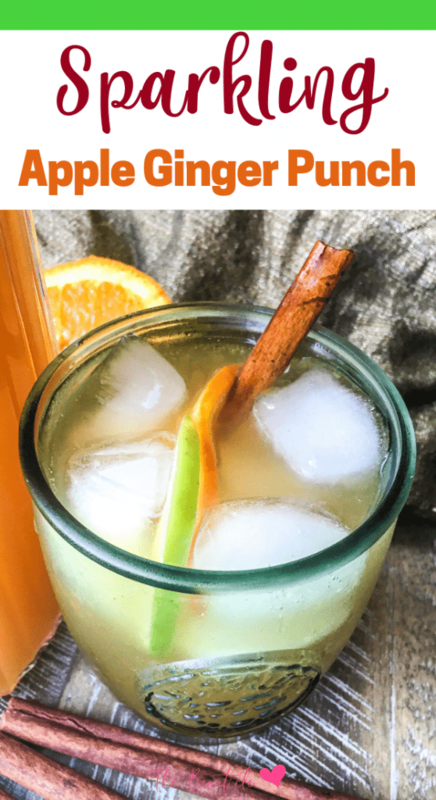 This sparkling apple ginger drink recipe is healthy and flavorful and the whole family will love its spicy bite. It’s a good idea to include more ginger in your diet for all its wonderfully healing components. Not only does ginger help with gut issues and is anti-inflammatory, it relieves pain, flu symptoms and helps with nausea and vomiting. Ginger has been touted to reduce blood sugars (1) and reduce risks associated with heart disease, all the benefits those on the keto diet or dealing with diabetes are concerned about. 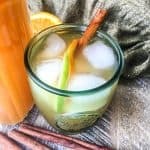 The most festive reason to include ginger in your Christmas cocktails and drink recipes may be that ginger helps with indigestion which many of u may deal with as we overeat and indulge in foods that are not our norm. 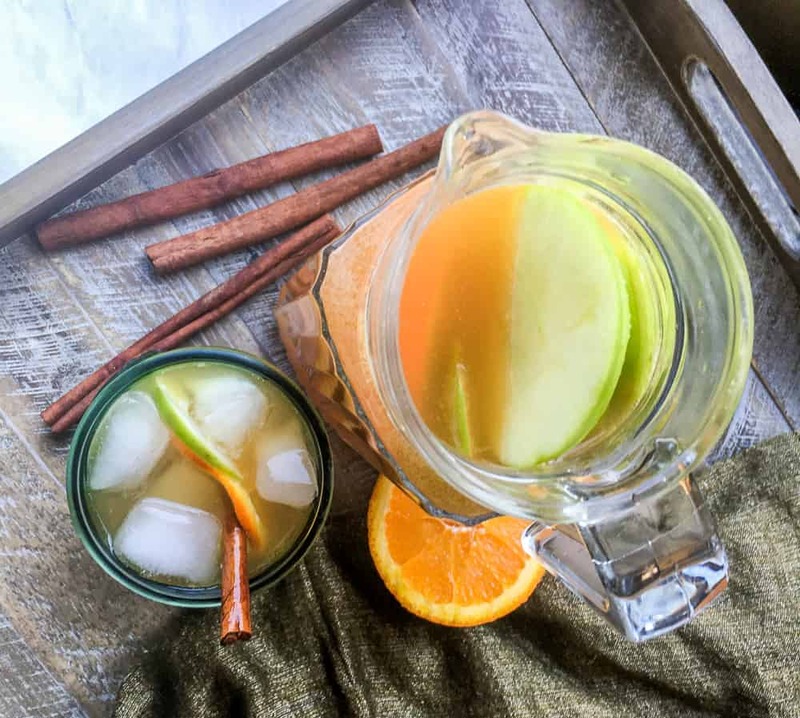 This warming Christmas punch is good for the whole family with the healing benefits of ginger, the sweetness of cinnamon and the goodness of apples.